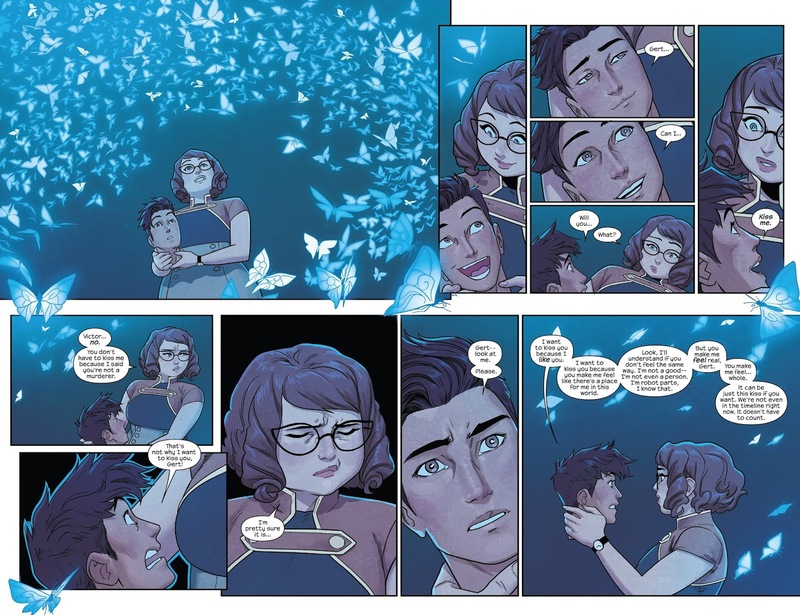 Was this run made by leaving a Monkey's Paw in a room full of Runaways shippers? 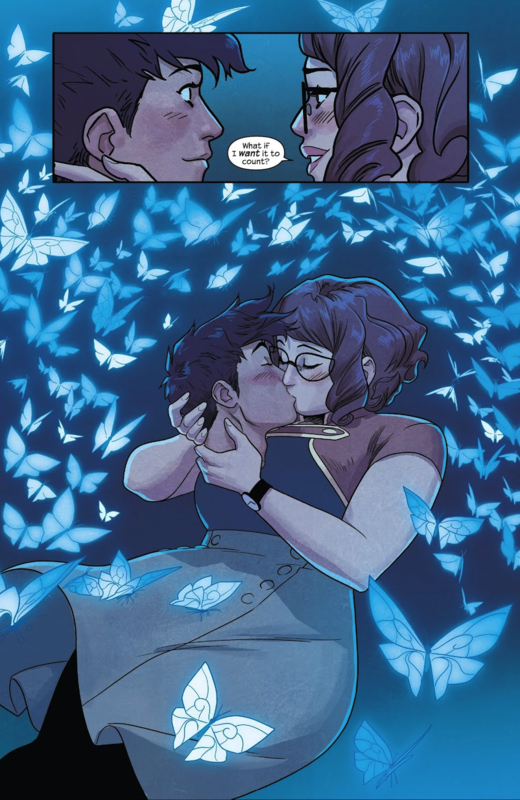 It does come off as a bit fanservicey but overall after all the crap Marvel has put the Runaways through since Brian K. Vaughan left this run has been a godsend. I find it hard to follow... a lot. Based on the scans or the full issues? Alright because for the most part it's fairly easy to follow in my opinion. There's a main plot for each arc (The Runaways getting together again, Molly's immortal friend, etc) with subplots (Victor and Gert) and character interactions sprinkled throughout. You could say she's getting a little head. I have some conflicted opinions on Nico/Karolina. It seems like they've been building it up pretty well. Gert and Victor have always been close friends since they both wanted to avoid the future where he kills her, Chase was a bit jealous of Victor at times, and they've been bonding more since they both came back from the dead. Plus the age difference between Gert and Chase has only increased since her death, he's in his 20s now. Ages in this series are hard to keep track of (Molly seems to be getting younger somehow) but isn't Victor only around six or seven at this point? Well he's still physically and mentally a teenager complete with false memories of a childhood and everything. Victor had the mental age of a 16 year old when he was introduced, should be about 18 now since the book says it's been 2 years since Gert died. Vic was built by a killer robot programmed by Hank Pym. He's mentally mature for ANY age but I imagine any emotional maturity came from the few years he spent with his mother. Also think it's funny that the Runaways franchise isn't even 20 years old and the phrase "was dead for a while" already applies to most of them. Just two of them, isn't it? Alex dies in the first series. Gert dies in the second. I could have sworn Chase and Old Lace die at the end of the third but that seems to be ignored so I'm fine not counting it. I know at least one of them (Chase? Nico?) dies in Avengers Arena but I had checked out of that trainwreck by then. Victor dies in Vision. An issue of Arena ended with her apparently dying but the next issue had her magic staff reviving her right after.